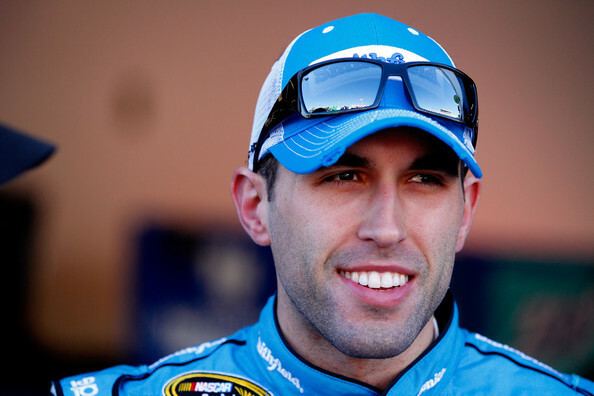 Aric Almirola, with a lap speed of 192.940 MPH, was the fastest early Thursday evening during the final 2016 NASCAR Sprint Cup Series (NSCS) Kobalt 400 test/practice session at Las Vegas Motor Speedway (LVMS). Second fastest in the session with a lap speed of 192.658 MPH was Austin Dillon, and he was followed by series Rookie of the Year (ROTY) contender, Ryan Blaney (191.659 MPH) who was third, Kurt Busch (191.381) fourth and Greg Biffle (189.800) was fifth. Rounding out the top-10 fastest drivers in the session were Carl Edwards (189.793 MPH) who was sixth, Matt Kenseth (189.773) seventh, Kasey Kahne (189.600) eighth, Martin Truex Jr. (189.580) ninth and Denny Hamlin (189.387) posting 10th. The teams will return on Friday for their first regular practice from 1:30 p.m. – 2:55 p.m. (ET), and television coverage provided by FOX Sports 1. Qualifying to determine the starting lineup for Sunday’s event will be on Friday at 7:45 p.m. ET on FOX Sports 1, and it was last year that Jeff Gordon – with a qualifying lap speed of 194.679 MPH – set the new series LVMS qualifying track record. On Saturday, the teams will have two more practice sessions beginning with a session from 11:30 a.m. – 12:25 p.m. ET on FOX Sports 1, and then their “Happy Hour” (final) practice from 2:30 p.m. – 3:20 p.m. ET on FOX Sports 1. 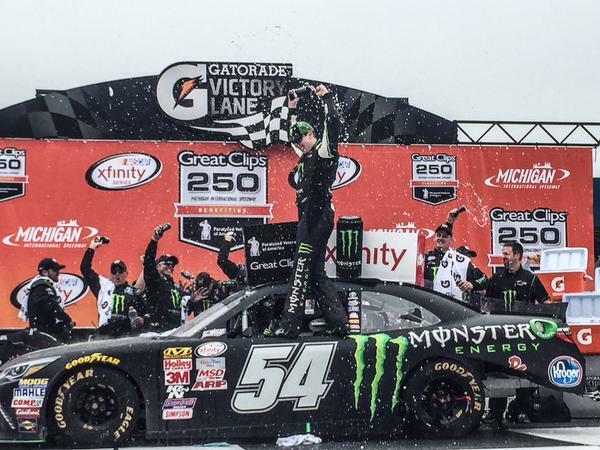 The 14th annual Kobalt 400 is scheduled to get underway around 3:50 p.m. (ET) Sunday afternoon, and FOX will provide television coverage of the event. 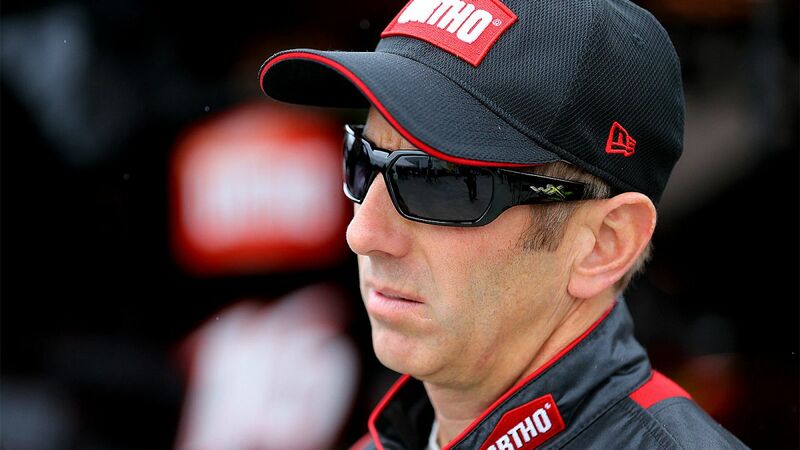 Greg Biffle, with a lap speed of 197.929 MPH, was the fastest Friday in the final NASCAR Sprint Cup Series (NSCS) practice session for Sunday’s GEICO 500 at Talladega Superspeedway (TSS). Second fastest in the session with a lap speed of 197.859 MPH was Tony Stewart, and he was followed by Aric Almirola (197.696 MPH) who was third, Jimmie Johnson (197.175) fourth and Austin Dillon (197.122) was fifth. 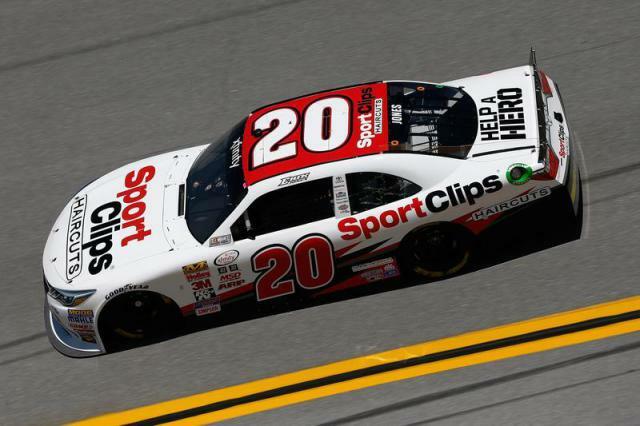 Rounding out the top-10 fastest drivers in the “Happy Hour” (final) practice were Matt Kenseth (196.839 MPH) who was sixth, David Ragan (196.669) seventh, Sam Hornish Jr. (194.603) eighth, Casey Mears (194.456) ninth and Brian Scott (193.881) posting the 10th fastest lap speed. 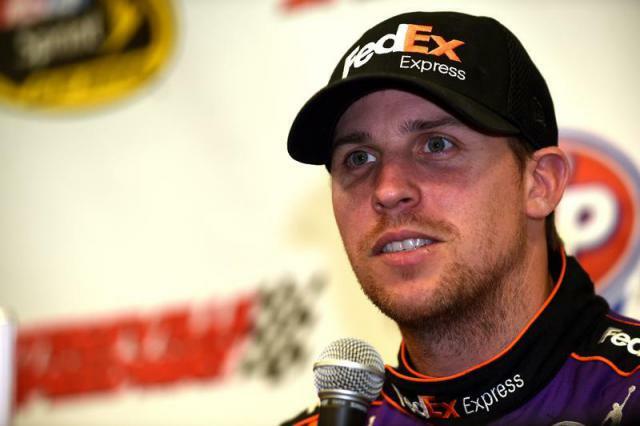 Denny Hamlin, with a qualifying lap speed of 124.069 MPH, captured the NASCAR XFINITY Series (NXS) pole for tonight’s ToyotaCare 250 at Richmond International Raceway (RIR). Starting second on the outside pole with a qualifying lap speed of 124.018 MPH will be Joey Logano; followed by Erik Jones (122.984 MPH) starting third, Aric Almirola (122.912) fourth and Brian Scott (122.783) starts fifth. Rounding out the top-10 starting positions will be Kevin Harvick (122.705 MPH) starting sixth, defending series champion, Chase Elliott (122.633) seventh, Regan Smith (122.460) eighth, series Rookie of the Year (ROTY) contender, Daniel Suarez (122.266) ninth and Brennan Poole (122.089) starting 10th. Two drivers failed to make the 40-car starting lineup, which were Morgan Shepherd and Johanna Long. The 28th annual ToyotaCare 250 is scheduled to get underway around 7:50 p.m. (ET) tonight, and FOX Sports 1 will be providing television coverage of the event. The NASCAR XFINITY Series (NXS) teams were up early Friday morning at Richmond International Raceway (RIR) for their one and only practice session for tonight’s ToyotaCare 250. And, at the end of the session with a lap speed of 124.850 MPH, was Denny Hamlin posting the quickest lap in the session. Second quickest in the session with a lap speed of 124.441 MPH was Joey Logano, and he was followed by Austin Dillon (124.372 MPH) who was third, Aric Almirola (124.298) fourth and Erik Jones (124.201) was fifth. Rounding out the top-10 quickest drivers in the “Happy Hour” (final) practice session were Regan Smith (123.762 MPH) who was sixth, series Rookie of the Year (ROTY) candidate, Daniel Suarez (123.706) seventh, Kevin Harvick (123.626) eighth, Mike Bliss (123.243) ninth and Ty Dillon (123.063) posting the 10th quickest lap speed. Qualifying to determine the starting lineup for this evening’s race will be held at 3:45 p.m. (ET – On FOX Sports 1), and the current series qualifying track record at RIR is 129.348 MPH, set on May 14th, 2004 by Kyle Busch.